As I introduce this month's issue of Inside ATLAS.ti, I would like to reaffirm our commitment to you, our community of users. ATLAS.ti has been developed by information technology experts who as researchers themselves understand every aspect of your needs. Thomas Muhr, the CEO and founder of ATLAS.ti, psychologist and computer scientist, laid the foundation for a software that optimally combines technology and research. Following the foundation established by Mr. Muhr, ATLAS.ti represents the optimal integration of qualitative data analysis and technology. Through the years we have continuously optimized our product to efficiently address the needs of researchers, combining a unique functionality with equally unique usability, making ATLAS.ti an intuitive, easy to learn and easy to use program, yet capable of complex analysis. As we walk into the future and ATLAS.ti develops further, we will continue to keep your needs at the forefront. I would also like to take this opportunity to highlight our extensive and unique support services, all of which are free of charge and perpetual. 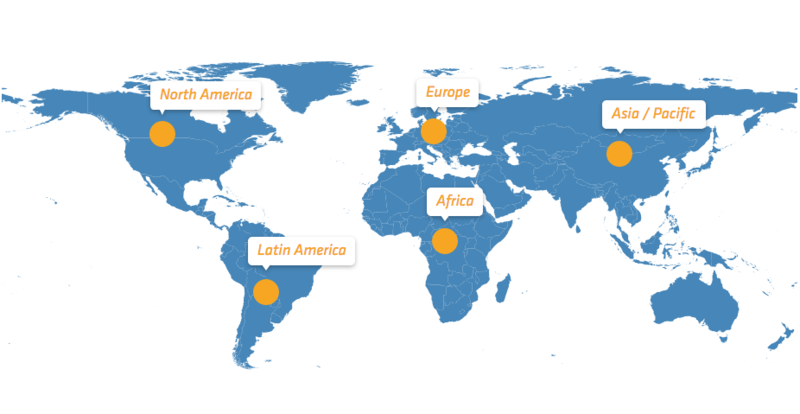 As no other software company does, we have telephone support in all major countries of Europe, America, Africa, and Asia, where you can call us at local rates during normal business hours. Additionally, our Skype support team will support you also free of charge. Our QDA experts and trained specialists are there to answer your inquiries related to sales, functionality, and training. You can also leave a message and we call you back! All of our Support contact information around the world can be found here. 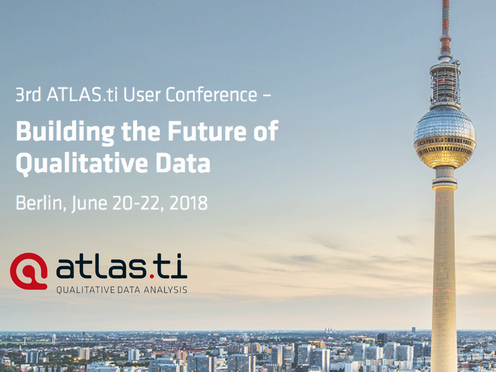 Last but not least, we invite you to join us at the Third ATLAS.ti User Conference, which will take place from June 20-22 in Berlin. Following the motto "Work smart, not hard," we will be not only be offering a variety of workshops, roundtables and Pecha Kucha presentations, while our conference dinner will be held on one of Berlin's finest sightseeing boats, cruising along the Spree river. The conference will take place concurrently with the Fête de la Musique , a music festival that turns Berlin into a multicultural and vibrant hub. I invite you to come and learn, share, and enjoy with us! 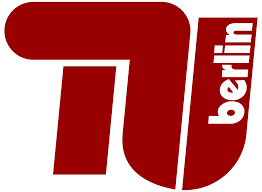 ATLAS.ti User Conference: See You in Berlin! We are very happy to host the Third User Conference this coming June in Berlin! This time, we will offer a variety of workshops and training opportunities in different tools and procedures with the software, as well as a Pecha Kucha session for people to present their research in a concise, but effective, format. Additionally, there will be a roundtable session on Case Studies with ATLAS.ti, in which users will share their experiences with the software. Early bird registration closes on April 20. To register, click here . - The call for papers for the Pecha Kucha and the Case Study roundtable sessions ends on April 30. Submit your abstract from this page. We announce that version 7 of ATLAS.ti will no longer be supported after May 1, 2018. You can still contact our support team for product support but there will no more technical support or updates for ATLAS.ti 7. Do you have questions about ATLAS.ti? Would you like to chat with us? Just pick up the phone and call any of our phone numbers worldwide . Now, you may also contact us using any of the following Skype account names: ATLAS.ti Asia Pacific, ATLAS.ti Latinoamérica and ATLAS.ti Europe/Africa. Our Telephone Support team will answer any questions you may have related to sales, learning and training services, as well as general inquiries on how to use ATLAS.ti. For Latin America, you can also contact us through WhatsApp at +54 112 309 0522. Alternatively, you can write to the following address for all product-related questions, including technical issues: [email protected] . We look forward to hearing from you! Get to know all ATLAS.ti trainers and consultants at one glance! Visit our new website listing the trainers and consultants that have been certified by us to provide services in ATLAS.ti worldwide. The network is growing each day, with students and established professionals offering a variety of services, from beginner's workshops to advanced one-on-one session and consultation services. Visit our website and get in touch with a trainer in your region. We are currently offering on-demand group webinars in English, Spanish and Portuguese to professors introducing the software to their students or colleagues evaluating the software. To request a webinar, complete the respective form: English,Spanish, or Portuguese. Mr. Thomas Muhr, the CEO of ATLAS.ti was one of the major speakers and outstanding donors of the Technical University Berlin German Scholarships. Mr. Muhr supports the future of young talents by donating to the program "Einfach spenden, doppelt fördern" (donate once, support twice). A total of 28 scholarships are awarded to aspiring students. At the award ceremony, which took place on January 31, 2018, Mr. Muhr gave an inspiring speech aimed at motivating students to pursue their academic dreams. In this issue of Inside ATLAS.ti we interview Gabriel Celestino Rosa, Psychology student at the Universidade La Salle, in Canoas, Rio Grande do Sul, Brazil. ATLAS.ti 8 Windows offers a powerful tool for interrogating and retrieving your data: the Query Tool. In this Best Practice article, it is explained how to examine your coded data and present step-by-step instructions on how to apply queries to a specific set of documents. Curso de ATLAS.ti en el Septimo Congreso Iberoamericano de Investigación Cualitativa. These workshops are taught at the clients' facilities in 2-day sessions. You may contact us at [email protected] for questions. These workshops are taught at the clients' facilities in 2-day sessions. If you are interested in a 3-day workshop, please let us know. Also, let us know if you need a workshop outside the United States/Canada or Europe. You may contact us at [email protected] or call 1-866-880-0231.